I hope you didn't think I had forgotten this lovely idea of mine, did you? I promise I didn't. I will end this series with 40 actual ideas that you can use to have fun with your kids. It just got put on hiatus for a bit because we moved our life a couple hours away, and then summer, and school, etc. Recently I mentioned on Instagram (littlebitfunky) that the boys and I were making salt dough ornaments. Overall, people replied with the terrible results they got when trying to make them themselves so I thought I would share the recipe and how-to that we used so maybe you could have some better results? I combined the above items and used a wooden spoon to mix and then eventually got my hands in there to combine everything thoroughly. Then knead, knead, knead until the dough is smooth and soft. I think this may be the area where issues arise. The dough really needs to be kneaded for a good bit of time, using the base of your palm to push into the dough. Once the dough is nice and smooth you will want to roll it out onto a well floured surface. Somewhere between 1/4in and 1/8in is good thickness. 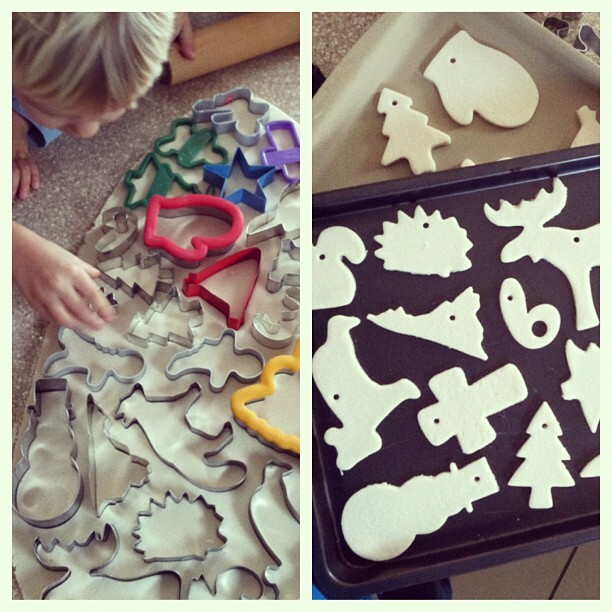 Cut into shapes with cookie cutters and if desired knead the scraps together and roll it out again. Bake at 325 for one hour. 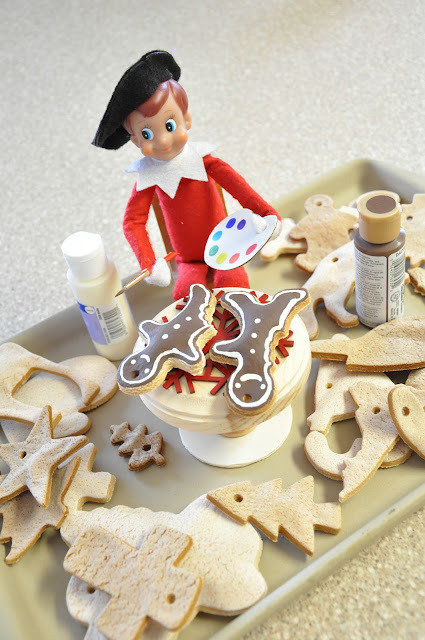 Allow to cool and then paint with acrylics then seal with mod podge for best results. We tried this last year and had not so great results because I didn't roll it out thin enough. Made me smile! Off to make some! very nice! I've tried the recipe last Easter, and this year I made ornaments with cinnamon and apple juise!